If you think you have what it takes, put your mouth to the test and see if you can withstand the sour power of X-treem Lock Jaw® Sour Hard Candy! 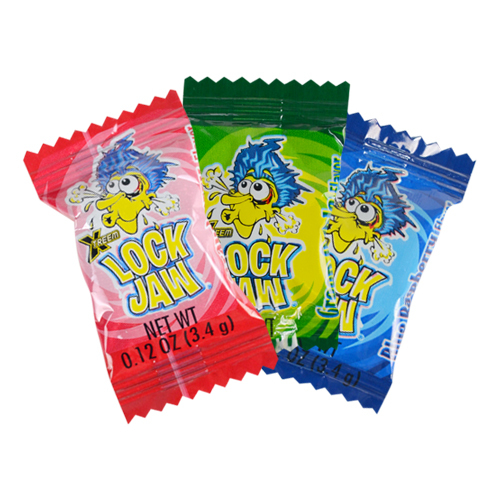 X-treem Lock Jaw® Candies are individually wrapped and come in assorted flavors. 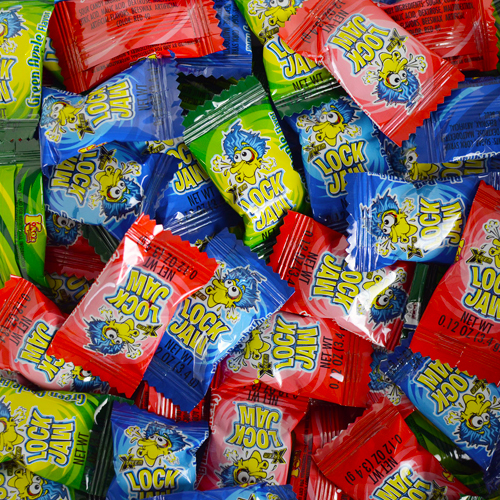 INGREDIENTS: SUGAR, CORN SYRUP, CITRIC ACID, MALIC ACID, DEXTROSE, MALTODEXTRIN, ARTIFICIAL FLAVORS, BEESWAX, ARTIFICIAL COLORS (FD&C RED #40, BLUE #1, YELLOW #5).